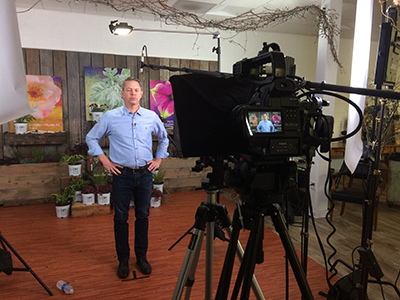 In the first entry in this series, we focused on how dollars earned might not be the most important factor in determining the return on investment (ROI) for a promotional video. Video can be a great way to make a first impression, leaving potential consumers with a better idea of who you are and what you offer. In this second part, we will explore how narrowing your focus can help you determine just exactly what you’re getting back. The world is a huge place, and the world wide web seems even bigger. Let us try to put this in perspective. There are over 7 billion people on this planet. The internet has over 3 billion users. More than two thirds of those users are active on social media. Of those users, they have five social media accounts on average. A new social media account is opened every twelve seconds. How about this: brandwatch.com notes that Facebook alone sees 8 billion views on video content from its 500 million users every day. Adults in the United States spend an average of 1 hour and 16 minutes watching video content every day. That’s a lot of people doing a lot of watching! No wonder measuring ROI can be a difficult venture to even begin. That’s why narrowing your focus can be a huge help in determining ROI. Casting a specific net in a specific location with hopes of catching specific surfers makes the results much easier to measure. Any discussion of video ROI should begin long before the production begins and should contain questions about what your objective is and who you are attempting to reach. Do you want to reach new clients? Do you want to retain clients you already have? Do you want to promote a new product or service? Do you want to engage people with social causes or invite advocacy for an issue? These are the kinds of questions you have to ask before you can determine the potential return. If your video is out there waiting for just anyone to view it, your statistics about specific returns might lack the oomph you’re looking for. Casual users who stumble across your video might watch the first five seconds and move on, or they may stay for the whole thing if your video is engaging. That doesn’t necessarily mean they’ll do anything about it. Maybe they don’t care about small batch, handcrafted, locally sourced potato salad. In your breakdown, that will still look like a lost opportunity. However, if you direct that video in a direction you know will reach the audience you intend, say, organic, gourmet, globally-concerned food lovers, your video is much more likely to snag some decent returns. That audience is more likely to take the time to watch your video, and having watched it, is more likely to purchase said product or engage with your organization in some way. That means better ROI for your promotional video! Additionally, video that reaches an audience who is interested in that content is less likely to view it as an advertisement or a sales pitch and more likely to see it as meeting them on their level, forging a bond over a common interest or pet issue. As we’ve said before, video is quickly becoming the number one way to reach people on the internet and in the world. And to really know who you are reaching and how far your message is going, narrowing your focus is essential. Join us for the third entry in our series about return on investment, where we’ll discuss how to get more out of your marketing strategy with video.